In the Beginning, four mighty dragons raised of elemental energies, were put to work creating the World. They were called Earth, Water, Fire and Air. When the work was done, and the World set in motion, the four went to ground to sleep out this particular history, not to rise again till World’s End. Earth and Water hear the Call still ringing its desperate S.O.S. in their minds, so the search for Air continues, amid threats from Fire to travel between the centuries and lay waste to the friends and families of their human guides. 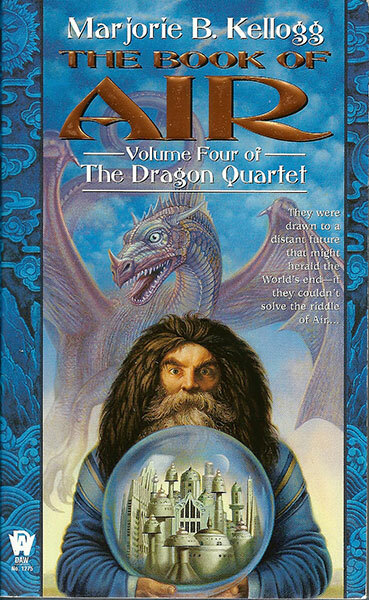 Magic and high technology interface as Air’s human guide is recognized, and the quest moves into a virtual realm. But when at last the true and final object of the Quest is known, will all involved be able to face its terrible requirements?